Fun for all ages; recommended for ages 5-12. Available on weekends at 1:45 pm, except from Friday, November 23, 2018, through Sunday, January 6, 2019 due to Christmas at Glencairn. Tour also available by appointment. See below for closings information. Please contact the Museum for reservations. Tour size is limited. If you arrive without a reservation and the tour is full you will be turned away. To avoid disappointment we strongly recommend making a tour reservation. Please call 267.502.2990 when you are ready to schedule your tour or click here to book a tour via email. $8.00 Seniors (65+)/Students with I.D. Other prices apply for group tours and tours by appointment. Click here for additional visitor information. Follow these links for more information about: Membership, Events, Getting to the Museum and Parking. A museum—like a time machine—is where the present meets the past. Travel with us to ancient Mesopotamia, ancient Greece and medieval Europe. This one-hour tour includes hand-on activities with Mesopotamian cuneiform tablets and cylinder seals, Greek coins, and compasses. 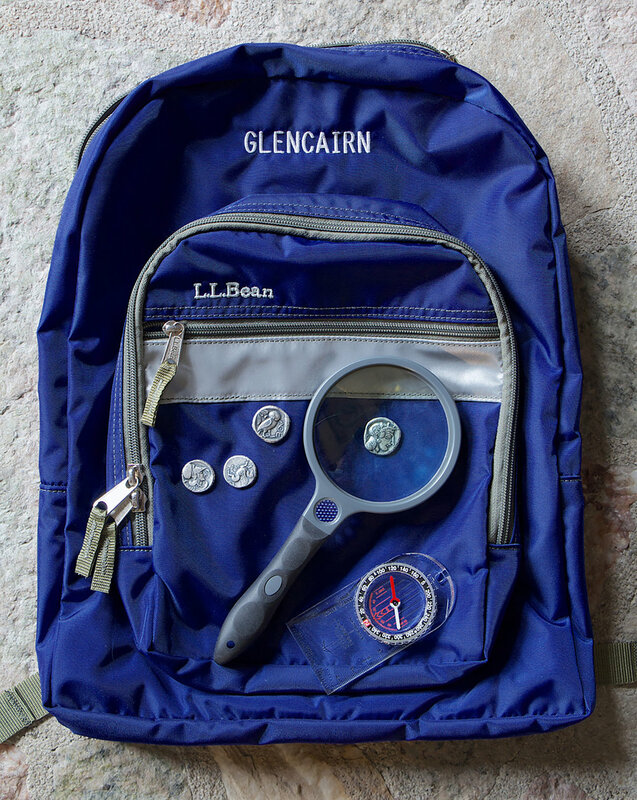 We’ll bring the backpack with supplies, you bring a sense of adventure and your deductive skills! The "Time Travelers" tour is recommended for ages 5-12. One adult for every three children is required.